Adventurous Europeans came from the "Old World" to the "New World" after being inspired by Columbus who had discovered America in 1492. They came in look for land, furs and minerals. In exchange, Europe got new foods such as sunflowers, corn, peanuts and chocolate. Native Americans traded horses, steel and guns. Unfortunately, the two worlds did not mix well. White settlers often took land by force and shot buffalo. The Native Americans could not understand this type of behaviour, because they were used to sharing and not wasting. 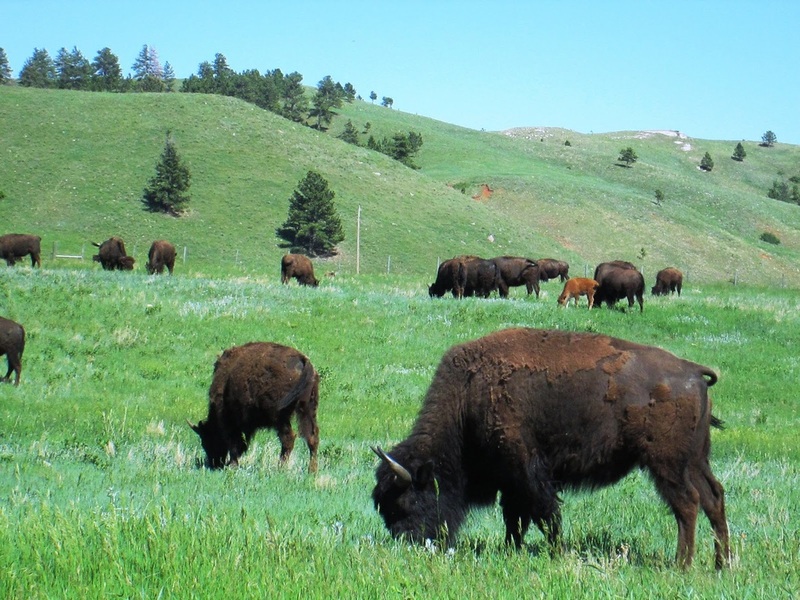 The Native Americans used buffalo for food, their fur for clothing and skin for tents. To begin with the immigrants were on friendly terms with Native Americans, but when moving West, the Europeans fought hard with the Native Americans over land, and forced thousands out of areas where they had lived for hundreds of years. President Jackson passed a law in 1830, saying the government could set up so called reservations, where the Native Ameicans could live. These reservations had often poor soil and a bad climate, making it difficult for the Native Americans to grow food, causing hardship since many tribes had never farmed before. They were unable to hunt and move freely, making life feel like imprisonment. In 1830 President Andrew Jackson signed the Indian Removal act, which was a law that gave the government the "right" to move thousands of Indians that lived in the southern states. This forced re-location of several indian tribes and was called the trail of tears. Over 100 000 indians were moved, the journey was hard, and thousands did not make it to the northern states. In the early part of the 19th Century there was a great move towards California and Oregon. People were moving because they heard the land was cheap and fertile. One of the ways to get to the West from the East was to travel west via the Oregon Trail. Wagons rolled along the trail from 1839, and were very rarely attacked by the Indians, particularly if they stuck to the trail. The only time they came under attack was if they tried to take the land belonging to the Indians away from them. Life could be hard on the 'trains' of wagons that travelled across the prairies and deserts. By the mid 1850's the deserts were littered with animal skeletons, wagons that were broken and human remains. By 1860 175,000 settlers had crossed the plains and mountains from the Mississippi to the land called California, while thousands went to Oregon, which was further north. In 1848 pure gold was found in a river in the Sacramento valley California. This spark off what is known as 'The Great American Gold Rush'. A Cowboy's job was very important. He had to look after the cattle on the ranch and on the trail. The job was not easy and could be quite uncomfortable. It was dangerous, cattle could trample a cowboy to death. There were dangers from Indians, and also the weather could be rough. Most cowboys became very skilled on horseback, learning to rope cattle and round them up. Cowboys wore 'chaps' made from leather over their denim jeans. These 'chaps' provided protection for their legs. A rifle may well be used to kill a cow that was badly injured, or a threat from a cougar or wolf. When the cowboys went into town, which could be a rough and dangerous place to visit, they often took their guns. 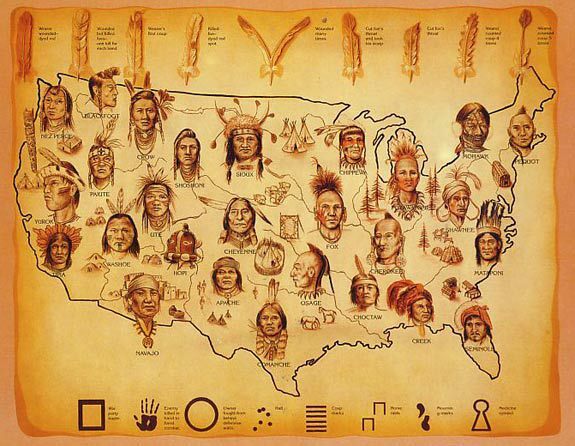 Native American life is different today than it was centuries ago, but there is still alot of pride and independence in Native American life. Pride in one’s tribe, care of the land and respect for nature characterize native American life, and many Native Americans share these principles today. Today, many Native Americans still live on reservations, but in generations past, they spanned the continent and their lifestyles and traditions varied from tribe to tribe as they do today. Some Native Americans survived by hunting ,gathering, and lived in tents. Others lived in longhouses and had a very organized and political system. 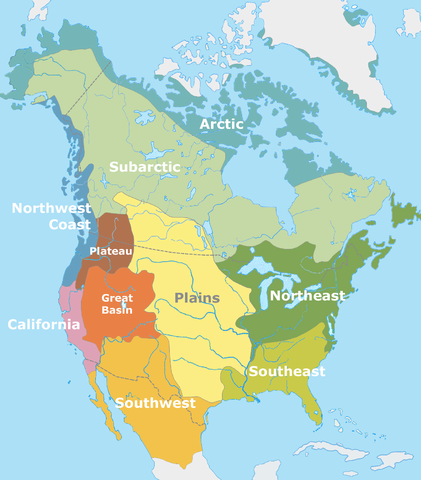 Before white settlers came to the continent, Native American life was free of European influences. Although there was often colaboration between tribes regarding farming and trade, other tribes were continuously at war with each other, such as the Algonquin and the Iroquois. Many of these alliances and rivalries were exploited when white settlers landed on the American continent, and some tribes were pitted against others to serve the colonist’s rules. Do you want to know more about different Indian tribes?